Yeah I'm not sure if this thread is active. Actually I'm not even sure if this forum is active. It is. We're just asleep for a while. And when Erinhue comes back, I'm sure he'll talk with you and get you started. Oh ok thanks for telling me that. Welcome Billobob. Yes this thread is still active and it is single handedly keeping this forum alive at this time. It is mostly my fault that it has stalled. This is my busy time of year and I am really working extra (can you believe that) to keep my center going for another year and that gets harder and harder to do. Also I was/am stuck, didn[t really know what to write but there was no room in my head for this. Things have eased up a bit and I do hope I can get us moving again. To TheDarkLordMorgoth, same deal for you This is a good time to get into the story as we should be starting up again with the next phase of the tale. Read up on the story and get you a character that will fit in and join us in the underground tunnels. We are a writer's guild in addition to being the board's Warrior's Guild so please give us your best shot because we do believe that writing counts. The goal has always been to write collaborative stories that The Master himself might enjoy reading. Welcome aboard. Yeah sorry I'm unavailable for summers though I'll try to post when possible. Not a problem We have had story threads that have gone on for literal years. I got a feeling we are really just getting this one warmed up so feel free to let us know and join the ride any time you can. Ok will do thank you for letting me join. This is the last of the TORC RPG's alive. Let's keep it going, people! Please let me know if you're still around. I read all the posts up to this point. But this summer I'm pretty busy, so I'm probably not going to be able to post. Sorry . Yeah I had some good ideas to, so it's a shame. Wow, the last post was in March. Please, everybody, let's get moving! Olly Olly Oxen Free! Come on, is everybody still here? I'm still here! Got caught up in life and forgot to check in. Anybody still around and interested in continuing? I'm still here, Tempest, and am still interested in continuing. How about the rest? Quill? Hue? Claymore? Anybody? HUE!!! *tackleglomp* I was wondering where you were and if something had happened to you to keep you away. I'm glad you weren't abducted by aliens and taken to Alpha Centauri. I did something to get us started again. I worked so hard at getting into the Mithril Knights, and I'm not about to let it die. Come on, everybody, let's get started! Thanks for getting us restarted! I'll try to come up with a post too! Wow! The Mithril Knights are alive and kicking!!! It is good to see some of you are still here. Is there room in the story for one of the oldies of the group? OK what is up with the strange 3rd party picture in my sig area? Welcome, Rho! Once a Mithril Knight, always a Mithril Knight. Please go ahead and jump in. 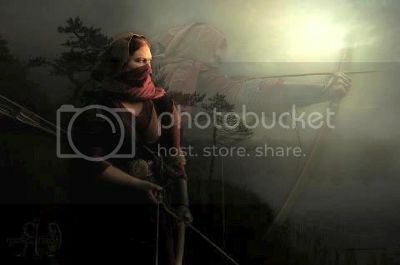 That strange picture is from Photobucket, which won't send pictures anymore unless you pay for them. It's why I use Imgur instead. I miss the old day when I could just upload a picture. Is there something online that will give me directions as to how to use Imgur and get a picture back in my sig area? Just go to https://imgur.com/ and it will take you through the steps. Tempest, m'love I am treading water here because I still got no clue. I need to buy a vowel or something. Hahaha, you're doing a pretty good job if you ask me!! I too will try and catch Paul up today or tomorrow. He is at least in the room being suitably star-struck. Welcome back, Quill! I was hoping you would come back. I missed you. Thanks, good to be back, been a while, but the urge suddenly took me! Busy time of year (end of school year) though so I shall be dropping in and out, so the slow pace suits me just fine at the moment. Interested to see where its going, and looking forward to potentially becoming a full member of this prestigious organization!